The State of Alaska Flex Program partners with the Alaska Hospital and Nursing Home Association (ASHNHA) and Mountain Pacific Quality Health (MPQH) to support quality improvement for the 14 critical access hospitals (CAHs) in Alaska. The primary goal in fiscal year (FY) 2018 is to ensure all CAHs are reporting and receiving the support and feedback they need. To assist with this goal, MBQIP measure dashboards have been created for each CAH and will be reviewed individually with hopsitals as updated information is added quarterly. To support Financial and Operational Improvement, the Alaska Flex Program is pursuing a project for in-depth financial analysis to better understand specific service lines that are disproportionately contributing to deficits and look for ways to reduce costs or increase revenues in those areas. This analysis may help to identify strategies for moving to value-based care and financial and operational stability. The Alaska Flex Program plans to increase the collaboration between the emergency medical services (EMS) agencies and CAHs through training opportunities and integration of response databases. Bleeding control training is available to decrease morbidity and mortality to include rural and remote areas. In addition, the Alaska Cardiac Arrest Registry to Enhance Survival Program (AK-CARES) is expanding data collection and analysis in CAH communities. The Alaska Flex Program is continuing to support integration and innovative care by utilizing collaborative networks and communication infrastructure to educate hospital leaders on the changing health care environment and payment models. The innovative approach includes supporting hospitals in promoting community dialogue to solicit input in these critical transitions. For example, facilitating Community Cafes that ask community members, "What does your community need and want from their health care system and what are you willing to pay for it?" With a new Flex Coordinator in place, the Alaska Flex Program anticipates more development in this area. 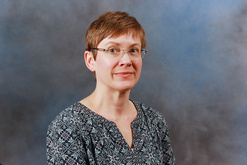 Tricia Franklin has worked for the State of Alaska Division of Public Health since 2000 and has an extensive background in quality improvement and collaboration with diverse partners. She has a broad range of experience working in rural hospitals and public health laboratories, epidemiology, immunizations and grant management. As the Manager of the Alaska Office of Healthcare Access, she coordinates the State of Alaska's Flex Program, Small Hospital Improvement Program, Primary Care Office and State Loan Repayment Program to ensure healthcare access for all Alaskans.